Enrico Dindo is known around the world as being what Mstislav Rostropovich called "a cellist of exceptional qualities… with an extraordinary sound which flows as a splendid Italian voice." In particular, the sound he achieves has been described as "so light and lyrical that it is difficult to distinguish the dividing line between his pianissimo and silence" (Leipziger Volkszeitung). Coupled with this sensitivity, Dindo’s passion for the music is revealed by the way he embraces "every phrase or jagged run of notes as if it was going to be his last" (Toronto Star). Having studied with Antonio Janigro, Enrico Dindo won First Prize at the Rostropovich Competition in Paris in 1997. Since then he has since established his solo career around the world. Enrico Dindo has performed with orchestras including the BBC Philharmonic Orchestra, Bournemouth Symphony Orchestra, Rotterdam Philarmonic Orchestra, Orchestre Nationale de France, Orchestre National du Capitole de Toulouse, Filarmonica della Scala, St. Petersburg Philharmonic Orchestra, Tokyo Symphony Orchestra, Toronto Symphony and Chicago Symphony. Recent highlights include performances with the Pittsburgh Symphony Orchestra with Gianandrea Noseda and Budapest Festival Orchestra with Iván Fischer. In 2013-14 Enrico Dindo’s season highlights include performances with the Leipzig Gewandhaus at the Barbican in London, Paris and Vienna, as well as appearances with the Santa Cecilia Orchestra in Rome and at the Lugano Festival. Enrico Dindo has worked with the most renowned conductors in the world. He has performed with Myung-Whun Chung, Daniele Gatti, Paavo Järvi and on a number of occasions with Riccardo Chailly, Aldo Ceccato, Gianandrea Noseda, Valery Gergiev and Riccardo Muti, as well as the late Mstislav Rostropovich. As a supporter of the cello repertoire, Enrico Dindo has also inspired numerous compositions. Composers that have written for him include Giulio Castagnoli, Carlo Boccadoro, Carlo Galante and Roberto Molinelli. His recording of the Shostakovich Cello Concertos with the Danish National Orchestra and Gianandrea Noseda for Chandos (Chandos, 2011) has received outstanding acclaim. For his "remarkably rich" playing and "emotional strength", the recording has been labelled as "a must have and a life-changer for Shostakovich fans" (International Music Web). Dindo has also been praised here for his "compelling playing that is immediately arresting" (Strad) and "particularly distinguished" performance (BBC Music Magazine). Enrico Dindo is passionate about teaching and is Professor of Cello at the Conservatorio della Svizzera Italiana in Lugano. In 2001, he founded the Pavia Cello Academy, where he invites a community of distinguished cellists to gather to teach and mentor students. 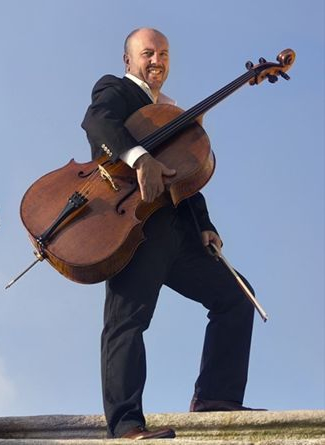 Enrico Dindo plays the Pietro Giacomo Rogeri cello of 1717 (ex-Piatti), with thanks to the Pro Canale Foundation.